Earlier, I listed five generalized, potential assessments of Obama, the first four of which assumed that he (that is, his carefully crafted image) is essentially a good man who has been limited by either his own incompetence or by a corrupt or completely broken political system. The fifth offered a darker option: the con-man. Now, after seven years of speculations, I have to suggest another possible grade. It would begin by observing something I missed back in 2010, that Obama’s choices for his top national security advisers had been praised by none other than Henry Kissinger. The United States remains involved – let’s stop being nice – a more appropriate word is complicit – in every significant conflict in the world: Afghanistan, Iraq, Yemen, Pakistan, Syria, Egypt, Saudi Arabia, Bahrain, Yemen, Israel/Palestine, Libya, Tunisia, Ukraine, Turkey, Kurdistan, Pakistan, Albania, Poland, Romania, Venezuela, Honduras, Belize, Uruguay, Colombia, Guatemala, Korea, Haiti, Bangladesh, Sri Lanka, Thailand, the Philippines, Indonesia, Somalia, Mali, Cameroon, Chad, Nigeria and many, many other countries. There is no doubt that its actions created – and many writers I respect claim that it actually supports – ISIS, actions which have cost over $7 billion so far and have contributed significantly to the world refugee crisis. Spending on a new generation of nuclear warheads has increased. The Pentagon is clearly attempting to provoke confrontations with both Russia and China. Afghanistan: After fifteen years and over a trillion dollars wasted, the Taliban controls more territory than at any moment since December 2001. The Pentagon admits that it expects to be there for decades, and the country is now the planet’s number one narco-state , with both the Taliban and the government deeply involved. Mistakes? Incompetence? Who profits? Cui bono: follow the money. If you don’t know that American special operations forces are operating in 135 countries (double the number during the Bush years), or that the U.S. dropped over 23,000 bombs on Muslim countries in 2015, or that drone strikes have killed over 300 people at wedding parties alone, or that the U.S. is building airbases inside Syria – a sovereign nation – you haven’t been paying attention. And why should you? The President has such lovely daughters. Granted: Obama inherited the failures of the Bush administration (if they really were failures – see below), but we are talking about empire. We are talking about policies that have remained essentially unchanged for decades, regardless of which of the major parties appears to be running things. 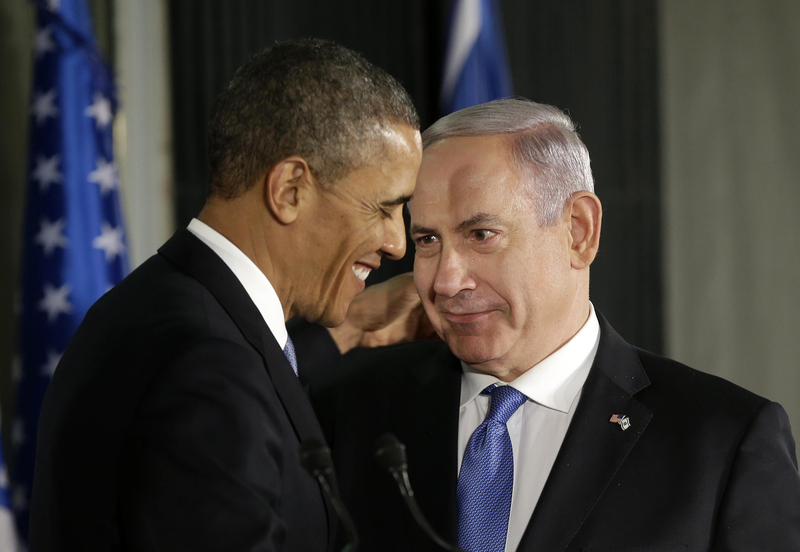 Do you really think that Obama’s apparent personal dislike for the terrorist thug Netanyahu (who famously and illegally lobbied Congress against the Iran deal) had any practical effect whatsoever on U. S. support of Israel, which immediately afterwards demanded and will certainly receive even higher subsidies? As Noam Chomsky has taught for forty years – and as most liberals still staunchly and innocently refuse to admit – the United States (along with its client states, Israel, Turkey, Saudi Arabia, etc) is the primary terrorist state in the world. To not begin any discussion of American politics by acknowledging this fact in is to be either complicit or ignorant, cynical or innocent. Or both. Q: What’s the difference between ignorance and apathy? A: I don’t know and I don’t care. And to not at least suggest that the War on Terror has been a colossal fraud is to ignore the evidence that has been mounting from start to non-finish. 1 – He has kept the (American) body count relatively low through the use of mercenaries, targeted assassinations, drones and long-distance air bombings. 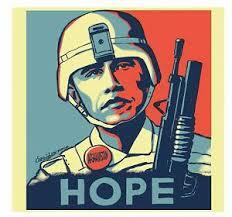 2 – The Pentagon has not been stupid enough to tell the President to re-introduce the draft. 3 – Let’s be honest here. How can liberals criticize a Black president, even if he follows all the patterns of his white predecessors? A trade-off, perhaps? Conventional political science will counter that a liberal president must accede to such traditional militarism and waste in order to pursue minor progress in domestic affairs. And we must certainly acknowledge the Republican determination to stall any of his projects. Yes, and – what about all those billions lavished upon right-wing media? Obama could have leveled the playing field with 0ne stroke of his pen by enforcing the Fairness Doctrine. Instead, he eliminated it. So: what about that incremental, domestic progress? Immigration? Latino activists call Obama the “Deporter-In-Chief” because he has ejected people at a higher rate than any U.S. president. During his first five years, he oversaw the deportation of two million people, more than during Bush’s entire eight years. We are not talking about failed initiatives due to Republican blockages. We are talking about deliberate policies decided upon and fully enacted. Don’t you think that if the Republicans had truly disapproved, they would have blocked them? 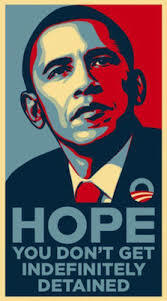 What about the philosophy of hope and “Yes We Can?” We certainly ought to ask why this administration has done nothing to investigate, let alone repair, the terribly corrupt electronic voting system and the disenfranchisement of over five million African Americans. Helping traumatized veterans? The government has stopped releasing data on the over one million veterans injured from the fighting in Iraq and Afghanistan, and the lengthy backlog of untreated cases. Surveillance? Government secrecy? This administration has sentenced whistle blowers to 31 times the jail time of all prior administrations combined. OK, you admit, but now that he’s in his last year and owes no one anything, he can work to save the environment. Perhaps you failed to notice his signing of the “Monsanto Protection Act” last month. The economy? The administration brags that unemployment has dropped to 5 percent and that the stock market has more than tripled. We’re told that we’re back on the road to recovery. Common sense replies that in these past years the top one percent have grabbed increasingly larger parts of the nation’s wealth. Even the New York Times admits that nearly all of the gains generated have gone to those “at the top of the economic ladder,” and most policy making has exacerbated inequality, especially among African Americans. Indeed, US income inequality grew four times faster in the first three years of the Obama administration than under Bush. In 2016 over 45 million are still receiving food stamps. Reduced unemployment? Sixty to seventy percent of all new jobs since 2008 have been classified as “low-wage.” In other words, most of that reduced unemployment is a result of people going to work at MacDonald’s, often for minimum wage. What do you mean there are no jobs? I have three of them! Mass incarceration? The prison-industrial complex? Plenty of talk, almost no concrete initiatives. Of course Congress resisted him at every step – except for his first two years, when the Democrats controlled both Houses of Congress. Gun violence? In his first term, prior to his tearful conversions, he bragged about expanding the rights of gun owners. Executive orders? The fewest in 130 years. Education? Ask any teacher you know about the “Every Student Succeeds Act,” otherwise known as the “Education Industrial Complex.” Progressives have condemned his recent choice for Education Secretary, as they have long complained that “Common Core” represents a war on public education. Why, they ask, do we still run schools as if they were factories? Don’t expect any realistic answers from this administration. Gay marriage? Medical marijuana? Are we to be grateful that the thinking of some people in Washington has actually entered the 21st century? Is it permissible to acknowledge that neither of these “values” issues has any serious financial impact, except in consumer patterns? Here’s an issue with financial impact: Obama’s recent pick to head the FDA – a Big-Pharma shill – sailed through the Senate with nearly unanimous support of its Republicans. The resurgence of racism? Of course, the rise of Trump and his ilk is partially a reaction to the presence of an African-American president. In this sense, it certainly isn’t Obama’s fault. But it also reflects mass disillusionment and anger at an economy that Obama’s financial backers have helped destroy. And it certainly reflects a broad disengagement from politics and/or search for authoritarian heroes that stems from the Democratic Party’s turn to the right, something set into motion twenty-five years ago by the Clintons and furthered by Obama. No money for actual progressive initiatives? The obscenely bloated Defense budget remains the elephant in the living room that no one will mention, not Hillary, not Bernie, and least of all Obama. Financial reform? No one has gone to jail, despite overwhelming public desire that they should have. And the banks that were too big to fail are now ominously much larger than when Obama bailed them out and headed toward another financial crisis. But, you say, what about incremental progress with Iran and Cuba? I say that no honest, intelligent person has ever suggested that either country was an actual threat to America. Eventually, the temptation of investing in two new markets exceeded the value of fear-mongering. These were business decisions, dictated by Wall Street, which has grown immeasurably richer in these seven years, and so is his support of the terrible, terrible Trans Pacific Partnership. The business of America is business. Naming someone to the Supreme Court to replace the Neanderthal Scalia? His first choice, whether in jest or not, was a Republican. Differences with the Republicans? Of course, especially on abortion rights(another “values” issue with no financial implications) and global warming. After that, it gets a bit hazy. Standing outside the myth of American Innocence, we might well admit that the two major parties, at least when it comes to imperial pretentions, are nearly indistinguishable. Both Obama and the Clintons have shown that they have been as willing to overthrow democracy in Third World countries (Venezuela, Honduras, Haiti) as Ted Cruz would be. I’m not denying that Obama has pushed through some mild, incrementally positive changes. Occasionally the ruling classes understand the need to do this. Even a broken clock is right twice a day. Next: Two more ways of grading the president. don’t forget refusal to prosecute TORTURERS (!!!) even after acknowledging it. Remember when he lectured black parents about taking responsibility? …and destroying hope for health care by engineering a massive insurance industry giveaway.